The best way to ensure a beautiful thick, green, and healthy lawn in the spring is to provide your lawn with the type of care needed to make it through the harsh winter. 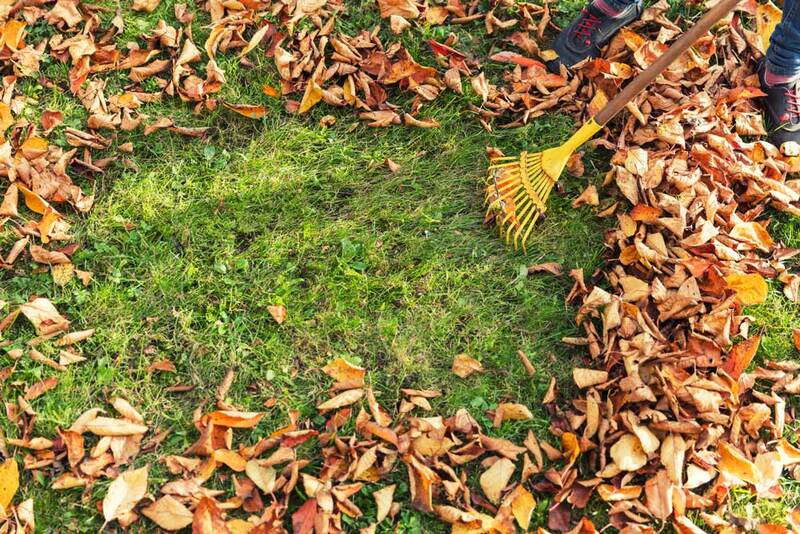 Clear away leaves, branches, and clutter otherwise it blocks the light and traps moisture. Even after the trees are bare, continue raking. Mow the grass regularly ideally to 2½- to 3-inch height. Grass continues to grow up until the first hard frost. If you allow it get too long, it will mat down and be vulnerable to fungi/mold. If it’s too short it curtails the root system and impedes the lawn’s ability to withstand winter cold and dryness. Watering your lawn, even if it rains, as it may not be enough to keep the grassroots well hydrated and healthy going towards the winter. Aerate the lawn once every couple of years to prevent soil from becoming compacted and covered with thatch which will block needed water, oxygen, and nutrients from reaching the soil. A late fall application of slow-release granular fertilizer will protect the roots from freezing and give the grass the energy to bounce back in the spring. Overseed the grass because a dense lawn protects against weeds, bald and damaged spots. Resolve any drainage issues in your yard. Toss out damaged above ground pools and old lawn furniture. Tired of your old outdoor living space? No time to DIY? Mountain Road Landscaping specializes in providing our customers in Jim Thorpe, Northampton and the Lehigh Valley area with brilliant and unique landscape design options as well as landscape maintenance services. We take great pride in our work; every part of the landscaping process is mapped out, organized, and implemented with precision and care to our customer’s satisfaction.